Without immediate hospitalization, Uzeir Abdullaev’s life is in danger, yet the Russian-controlled SIZO prison staff in Simferopol are simply injecting him with antibiotics that only fleetingly reduce his temperature. The inflammation and other symptoms of blood poisoning were not properly treated back in February and seem to be spreading, with potentially fatal consequences. A month ago, a doctor said that Abdullaev needed to be admitted to hospital, and warned that the blood poisoning had nearly reached his bones. He was ignored. 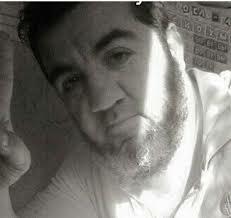 During the detention hearing on 27 April, Abdullaev was unable to stand. He has severe swelling in the left leg, and complains of severe pain. At that stage, he had had a temperature of close to 40 for 2-3 days, and according to his mother, his temperature was just as high on 28 April, with the antibiotics working for no more than half an hour. Abdullaev’s lawyer Sergei Legostov reports that both he and the family have made formal applications to the SIZO staff, to the prosecutor and all necessary bodies, but without any effect. Most importantly, neither Abdullaev nor his relatives have even been given a diagnosis. Uzeir’s mother, Dilyala Abdullaeva is herself a doctor, and she is well-aware of the acute danger her son is facing from untreated sepsis, or blood poisoning. The Russian-controlled courts are illegally holding even detention hearings behind closed doors, but she was able to see her son through the gate railings as he came out of the police van on 11 February. Even then, she recalls, he had enormous difficulty getting down and then walking up the stairs. It later transpired that his legs were swollen and covered in puss-filled abscesses. A week later, Abdullaev’s hand right up to the elbow swelled up dramatically, also with a puss-filled abscess. He was taken then to a city hospital and operated on. For 15 days after this, they gave him high doses of antibiotics. All requests that he receive proper hospital treatment were rejected, though Fera Abdullaeva reports that even the doctor who treated her husband recommended hospitalization. He also said that there was no sense in giving antibiotics, which only numbed the symptoms, without addressing the cause of the problem. It is now two months later, and no treatment was provided. Abdullaev’s high temperature, the acute pain and severe swelling give every reason to fear that there is blood poisoning which will not clear by itself, and could kill him. As of 29 April, he is reportedly unable to move by himself and his condition is rapidly deteriorating. He needs to be placed on a drip with blood infusions to clear out the poison. His mother’s medical experience tells her that antibiotics can only dull the symptoms which will then flare up again with new force. At that point it could simply be too late, and the May holidays will make access even by Abdullaev’s lawyer to the SIZO impossible. Uzeir Abudllaev is one of five Crimean Muslims arrested on 12 October 2016 and charged with ‘involvement’ in Hizb ut-Tahrir, a peaceful organization which is legal in Ukraine (and most European countries) but which Russia has, for its own, undisclosed, reasons decided to call ‘terrorist’. The charges themselves are a travesty of justice in that men are charged with ‘terrorism’ on mere grounds of alleged involvement in an organization which is not known to have promoted any act of terrorism anywhere in the world. The ‘trials’ are always gravely flawed, with ‘secret witnesses’ brought in to make up for total lack of evidence. Russia is in particular breach of international law through its prosecution of Ukrainian Muslims according to Russian law for alleged involvement in an organization which is legal in Ukraine. Uzeir Abdullaev and his brother Teymur, are from a mixed Crimean Tatar and Azerbaijani family. They were arrested on October 11, 2016 together with Emil Dzhemadinov; Aider Saledinov and Rustem Ismailov. The two Abdullaev brothers seem to have received particularly brutal treatment, with Uzeir complaining of torture by the convoy officers bringing the men to ‘court’. These ‘Hizb ut-Tahrir cases’ have, with full justification, been termed a conveyor belt of repression which Russia is increasingly using as a weapon against civic or human rights activists.